I wish this event didn’t exist. I wish we didn’t have a reason to be here. And I wish like hell my daughter didn’t have to wear the blue shirt as we walked. On the other hand, I am so grateful such research foundations contribute to the advancement of diabetes management. The hope that drives us all? It can all be traced to fundraising walks like this. 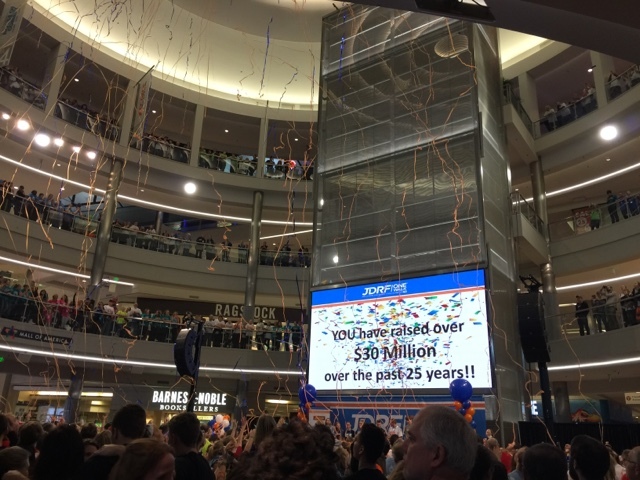 So, each year for the past 3 years – I wrestle with an overwhelming combination of resentment and gratitude as we walk around the Mall of America. The event itself is simple, really. Participants gather in the rotunda before walking around for an hour. The impact is much more profound, however. There, Madelyn is surrounded by others just like her. Our team’s contributions are but a small brushstroke in the big picture of the fundraising total. But, it’s a contribution just the same – one I am motivated to continue. 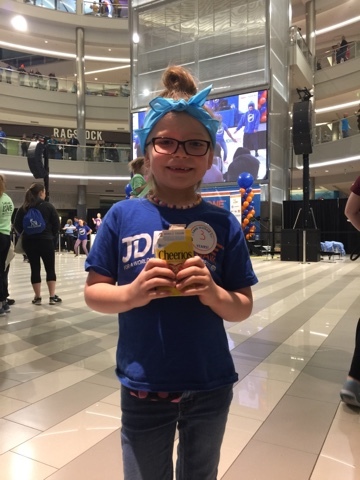 For as long as Madelyn has T1D, we will be here. We will walk. And we will not be sidelined. When it’s over, celebrations ensue. I find it highly coincidental that this event has fallen on Madelyn's birthday weekend. For the 2018 walk, I'm planning to employ a few year-long fundraising ideas. I'm curious and challenged to raise as much as possible. Tremendously amazing! what do you think about best crowd fund raising? In today's time a website Givetaxfree.org helps crowd funding by making it tax free.